An excellent and welcome return to the stage from Celtic rock pioneers. 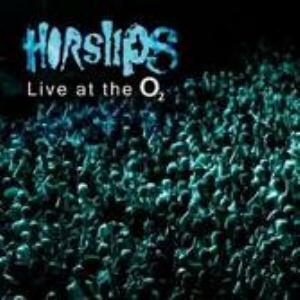 Absent from the big stage for 30 years, the rebirth and renewal of Horslips was recorded for all prosperity with this great sounding live reunion album. All of the key songs are featured excluding perhaps The Hall Of Mirrors. But that's a small complaint. Anyone who has the excellent Roll back album released in 2005 know that the boy's chops are still intact but that their voices have changed a bit over time. Johnny Fean has a deeper delivery while the ever young Charles O'Conner sounds the same 30 years on. Barry Devlon's seems to have suffered the most and has a sand papery feel to his delivery. The sound mix is incredibly detailed and clear. My only complaint is that it's a tad flat sounding, but you can't have everything. The only thing that surprises me, given that there was about 10 minutes of unused audio space at the end of the second CD (don't worry, there's two full hours of music here) is that some, or even any, of the lively stage banter that this band is known for, was not presented in the recordings. These guys are expert at taking the piss out of each other and this was a celebration as much as a concert, after all. In a way, it makes this 2 CD recording feel more like a greatest hits compilation, as the only real extended song is Speed The Plow. Perhaps the DVD of the concert will preserve all. 4 stars.